Who is MrHairyBrit, The UK YouTuber Vlogger? 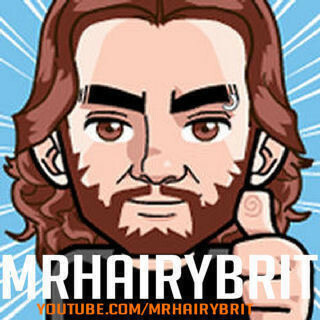 MrHairyBrit is a UK Youtuber vlogger. MrHairyBrit is a English UK YouTuber, YouTube Entertainer, YouTube Comedian and wed developer that loves NSFW News, Funny News stories & Shocking Videos! A “Hairy” British Vlogger with regular Funny News, NSFW news, Top 10 Lists, Topical News Rants & Personal Vlogs. Everything is fair game and delivered with more soul than BuzzFeed. Want a cookie? Favourite YouTubers = Emma Blackery (EmmaBlackery), Rhett and Link (Good Mythical Morning), PewDiePie, John Green & Hank Green (VlogBrothers) and Philip Defranco (The Philip Defranco Show & SourceFed). 3 Vlogs a week (MON, WED & FRI) FUNNY VLOGS, FUNNY NEWS, FRIENDLY ADVICE and generally try to make you SMILE!